Apple has announced that all new iMacs will have a high-resolution Retina display, as the name “Retina” has always been quite ambiguous and it’s more a marketing concept that something concrete that denotes some special feature, we will talking about its resolution, which is true 4K (4,096 x 2,340 pixels) for the 21.5-inch iMac model and 5K for all 27-inch models. We also found there the new Intel Core Skylake processors with expandable 8GB DDR3 memory, and the graphics AMD Radeon R9 M380, M390 and the M395X in the 27-inch models, while the 21.5-inch remains in the fifth generation. Now all iMac will have two Thunderbolt 2 ports (unfortunately no Thunderbolt 3) and WiFi 802.11ac. 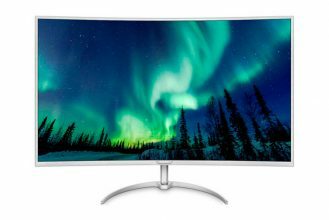 The 21.5-inch model will have a start price from 1,299 dollars or 1,499 dollars, depending on its features. 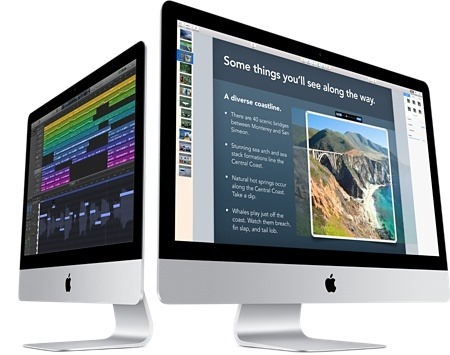 Moreover, the 27-inch model will come in three versions of 1799, 1999 and 2299 dollars.